Brand marketers love to ponder what exactly makes something go viral on the webz. Our client John Montgomery has joked that it’s to add “magic fairy dust” and we’re pretty sure that he meant kittens. Because seriously, if you just add kittens, you’ll win the Internet. Look no further than today’s big (and smart) PR stunt from Uber that has everyone tweeting. They capitalized on National Cat Day and partnered with the absolute best brand to partner with on such a day (meme site Cheezburger), added adoptable kittens and tada, instant PR win. Uber is also donating proceeds to local shelters to make this extra feel-good. 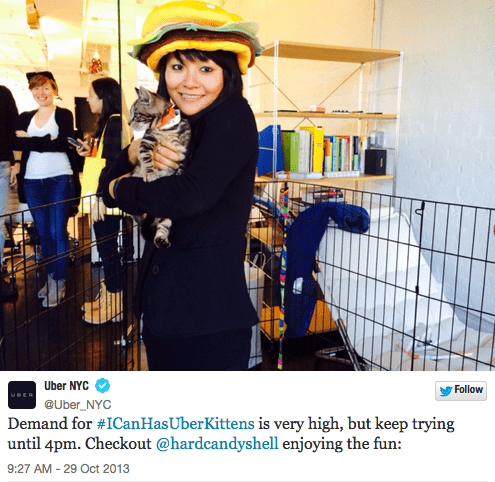 The brilliant stunt is a good way for Uber to steer media attention away from some of its criticisms (largely stemming from angry taxi cab companies and regulation) and to bring kittens into people’s lives. Because there’s pretty much nothing better than kittens, except of course kittens with puppies (you’re welcome). The unlikely trio aren’t the setup to a bad joke. They’re the stars of Hot Pockets’ latest mind-exploding Internet video. Parodying Biz Markie’s “Just a Friend (You’ve Got What I Need)” to “You’ve Got What I Eat,” the trippy video, created by Threshold Interactive, will make you wonder if you’re hallucinating or just plain hungry. Every media outlet from USA Today to US magazine are feeding the frenzy. Even BuzzFeed has trotted out their listicle on it (proof that the video has really made it). Hot Pockets, and Threshold, are used to this kind of attention. 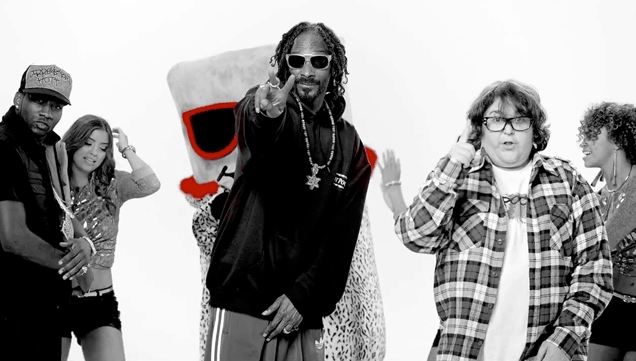 Their first Snoop Dogg collaboration was last year’s “Pocket Like It’s Hot,” one of the top 12 most watched brand ads on YouTube. Their latest mind melter cranks it all the way past 11, leaving you with just enough brain cells to wonder what the next video will be like. In the meantime, fire up that Hot Pocket for us.